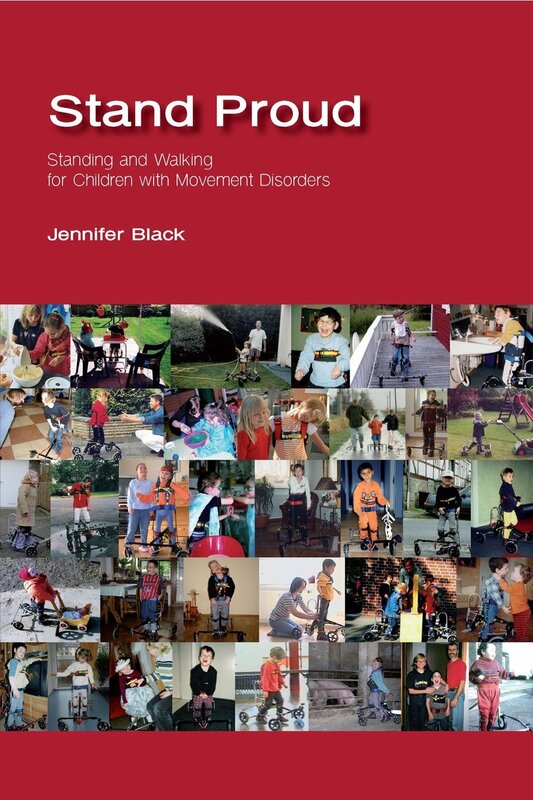 In 2008 we published “Stand Proud: Standing and Walking for Children with Movement Disorders” and 3 years later its German translation: “Auf eigenen Füßen…: Stehen und Laufen für Kinder mit Bewegungsstörungen”. The book by Jennifer Black is based on our experience working with the David Hart Walker or NF-Walker, the Scandinavian version, produced by Made for Movement in Norway. This was the motto of bioengineer David Hart. He designed and developed the Child’s Orthotic Walking Trainer, better known as the David Hart Walker or the NF-Walker in mainland Europe. With this invention he changed the lives and attitudes of many people in this world. Without this device many children would never have the opportunity to learn to stand and walk. With it they can! This book tells the story of the David Hart Walker/NF-Walker as seen by Jennifer Black. The history, theory and practical use of the device is explained along with stories, experiences and photographs from many of the families who have used the Walker. Jennifer Black is a physiotherapist and bioengineer who worked with David Hart at his clinic in the early 1990’s. In 1999 she co-founded the company EO-Funktion which went on to supply many children in Germany with the NF-Walker. Jennifer now lives in Fife, Scotland, with her husband and their three young sons.